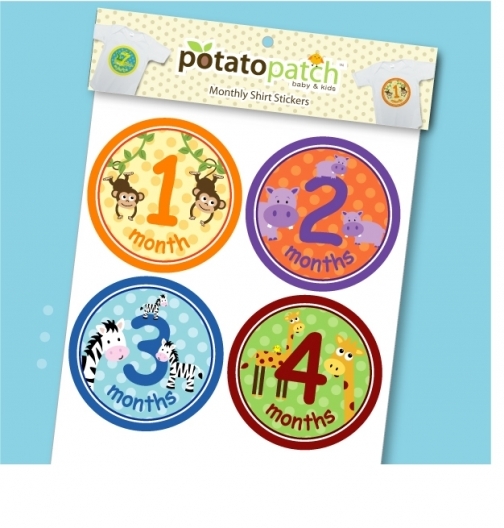 Take a picture each month and cherish every stage when your baby grows! 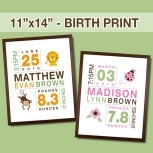 Make a perfect baby shower gift for the new mommy to be. 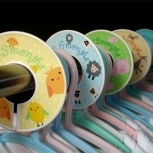 Included are set of 12 adorable Zoo Animal Stickers labeled from 1-12 months and packaged professionally for gift giving. 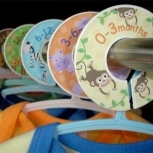 Stickers are 4" diameter and printed on high quality clear adhesive labels that are waterproof, tear resistant and flexible. Instructions how to use are included. Just peel, stick to your shirt and take your picture! Re-use the stickers as many times as you like. When you are done add them to your scrapbook with you picture to remember that special stage.